Double the Fun- Photo-shoot of baby twins with Left of Centre Photography! What's more challenging than one baby? Two of them! I bow down to parents of twins and multiples. It takes far more organization and effort to even get out the door than it does with one child. I'm in awe with how easily this family does it! 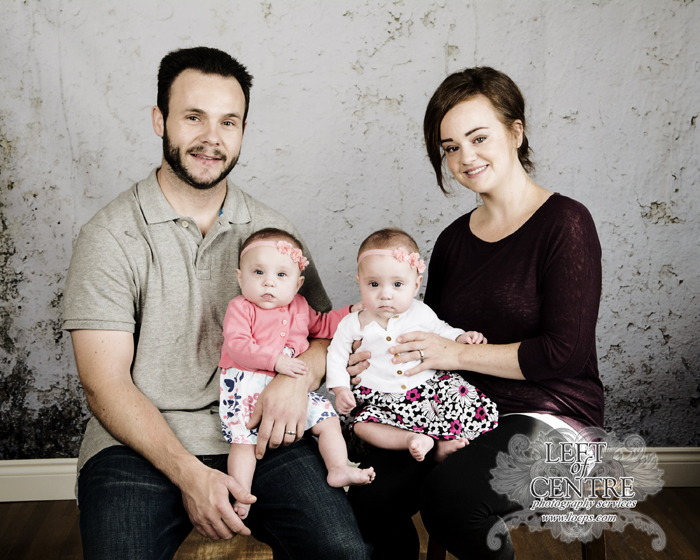 Their girls are simply stunning and I was so impressed at how easy going the parents are. I had such a great time photographing these gorgeous twin girls! Getting the chance to cuddle with both of them and seeing their different personalities was such a wonderful experience! 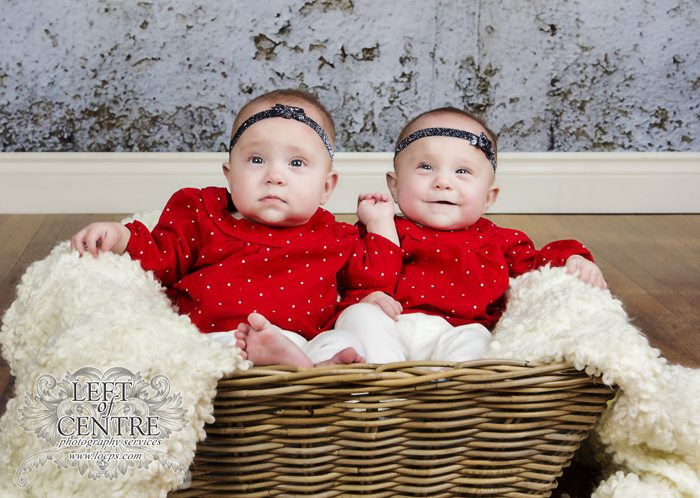 There really is something very special about twins, and these girls are no exception, check out a few of the gorgeous photographs I captured !